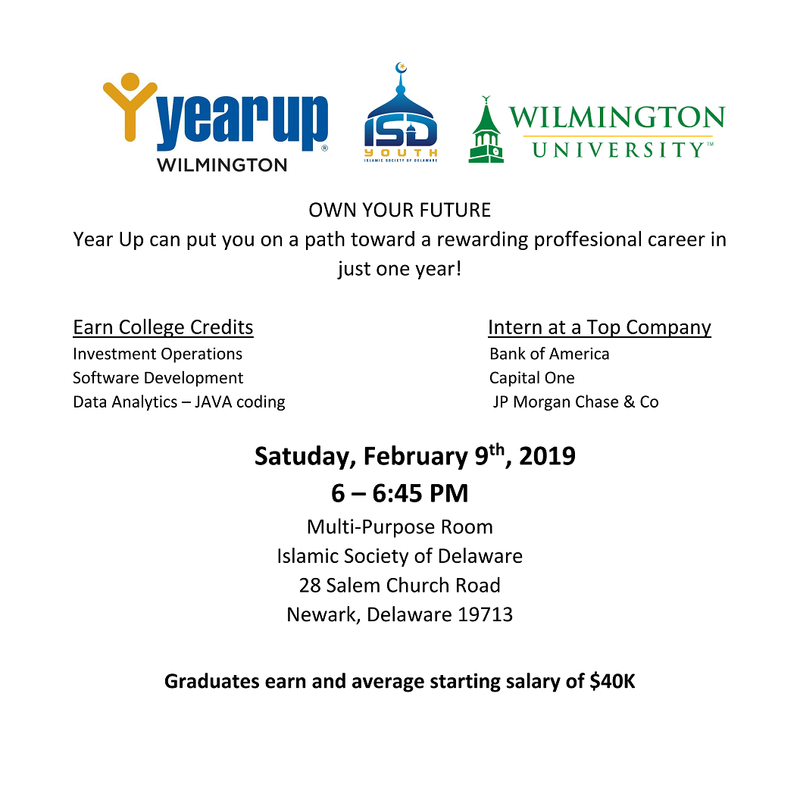 Year Up is coming to Masjid Ibrahim for a 1-hour information session. This event is open to everyone. Year Up envisions a future in which every young adult will be able to reach their potential. Their mission is to close the Opportunity Divide by providing young adults with the skills, experience, and support that will empower them to reach their potential through professional careers and higher education.